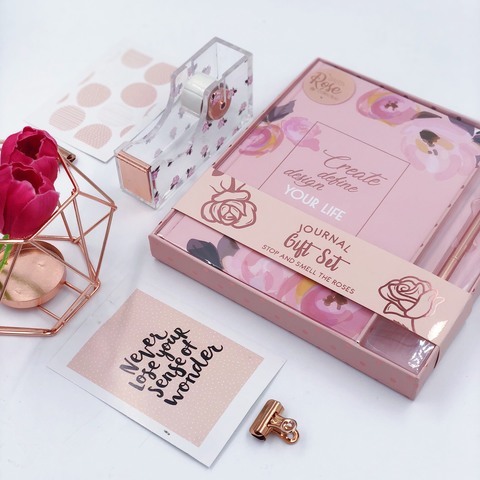 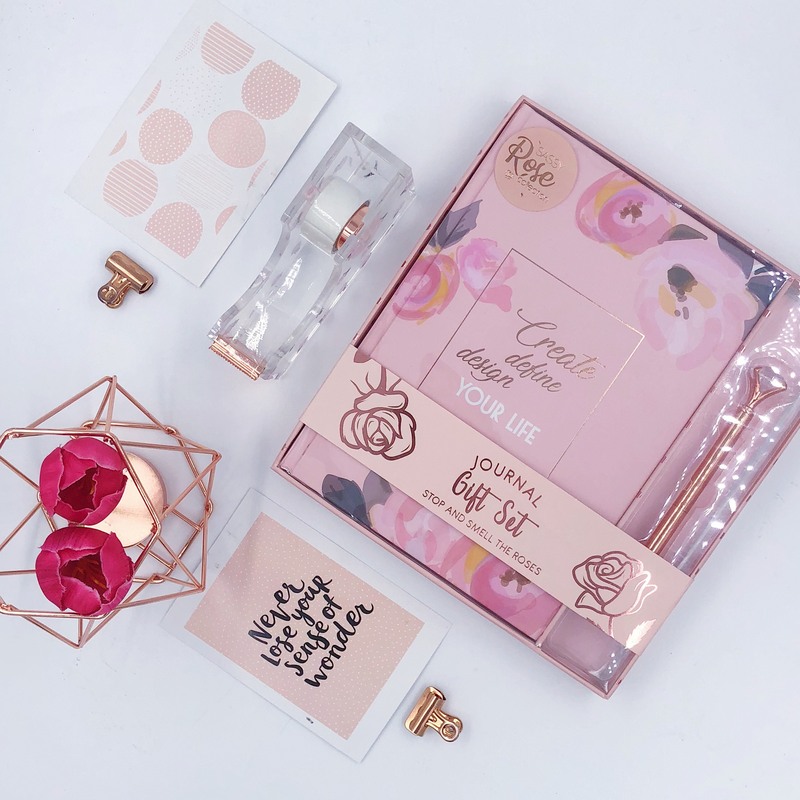 It's impossible not to fall in love with this romantic Rose Collection Journal Gift set. 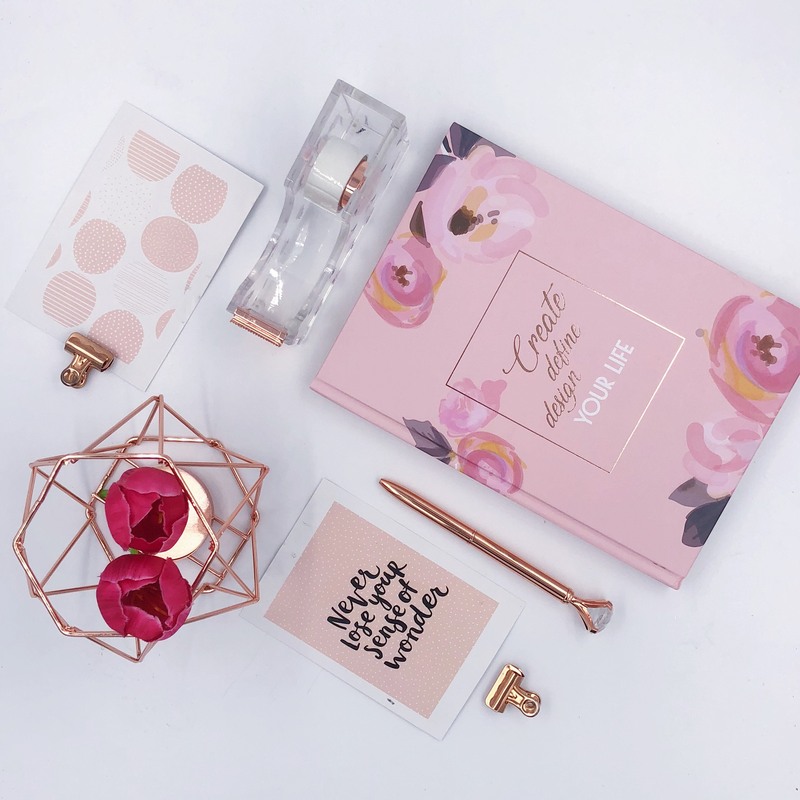 A mixture of floral varietals and blooms blossom from this sweet design. 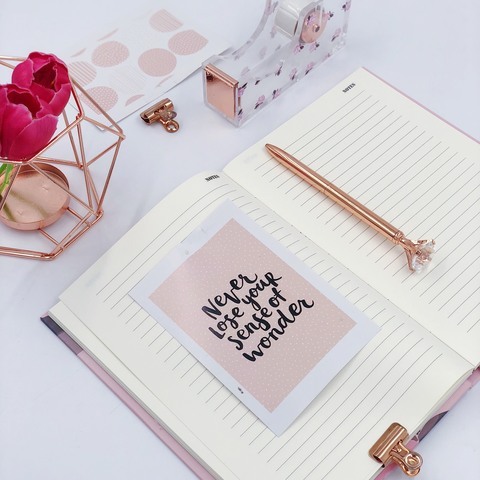 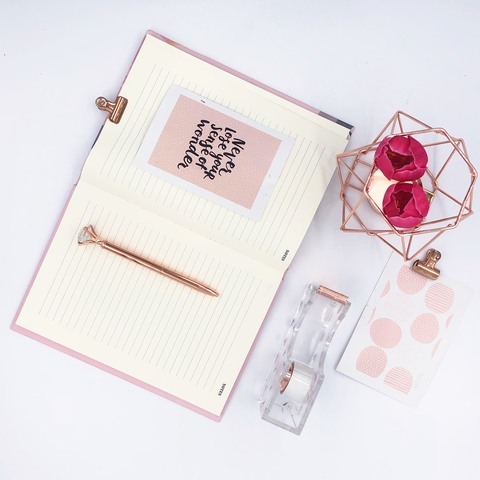 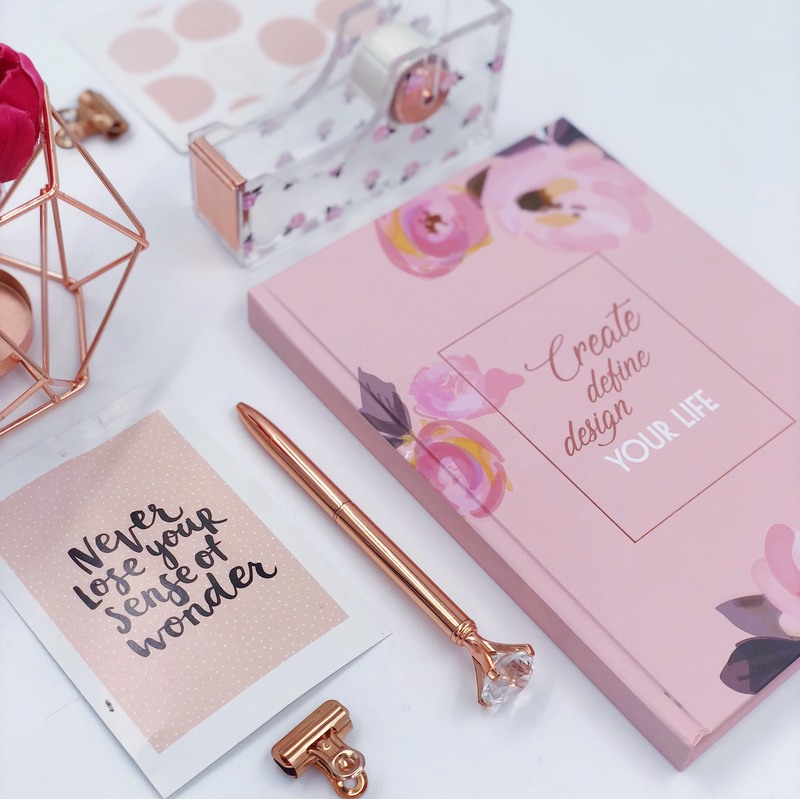 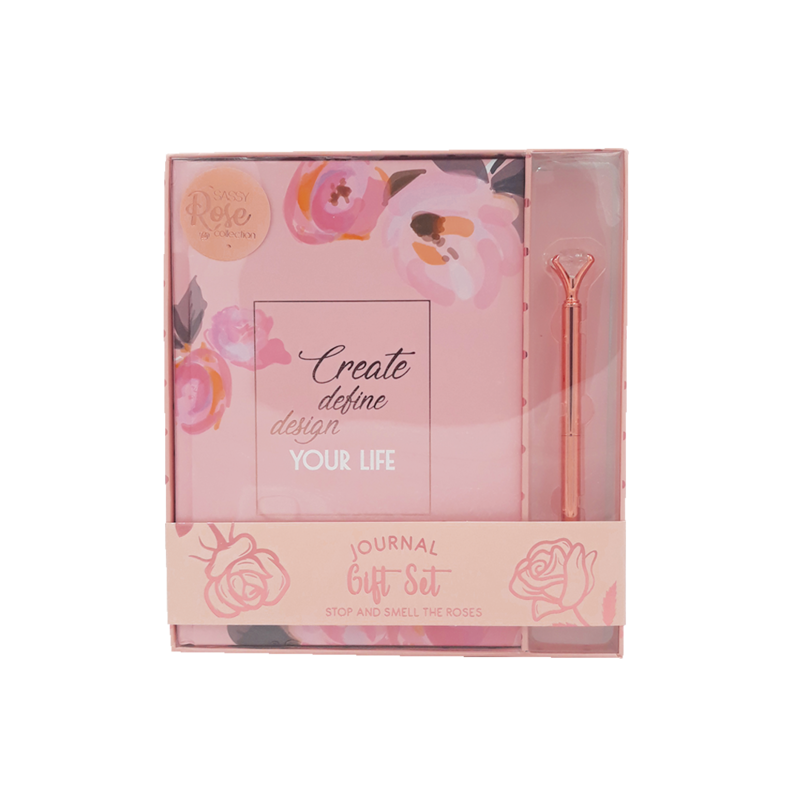 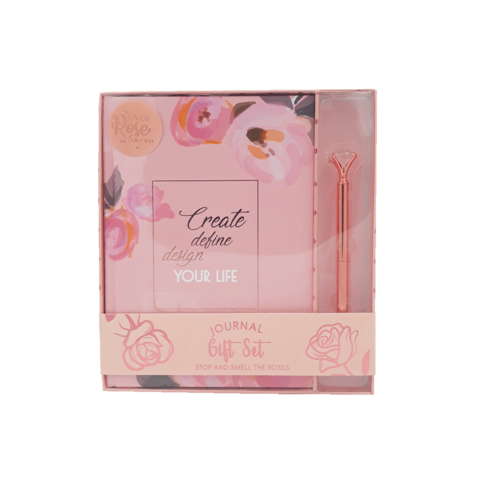 Jot down important events, memories and notes in this sweet journal that comes with an exclusive rose gold pen. With its affordable pricing, this makes the perfect gift for stationery lovers.